In buttered 13-by-9-inch baking dish or jellyroll pan, lay fillets in single layer. In bowl combine cheese, butter, mayonnaise, onions and seasonings. 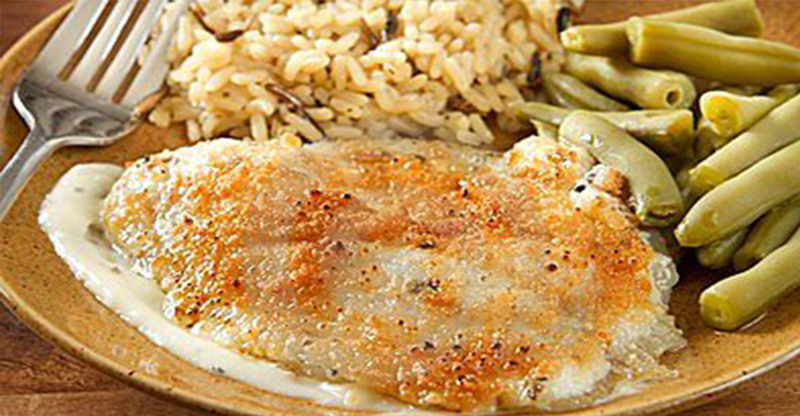 Bake fish in preheated oven 10 to 20 minutes or until fish just starts to flake. Spread with cheese mixture and bake until golden brown, about 5 minutes. Baking time will depend on the thickness of the fish you use. Watch fish closely so that it does not overcook. Note: This fish can also be made in a broiler. Broil 3 to 4 minutes or until almost done. Add cheese and broil another 2 to 3 minutes or until browned.